Sant Jordi, the day gives as present a book and a rose. Bookstalls are set up in the island’s main towns to mark International Book Day. 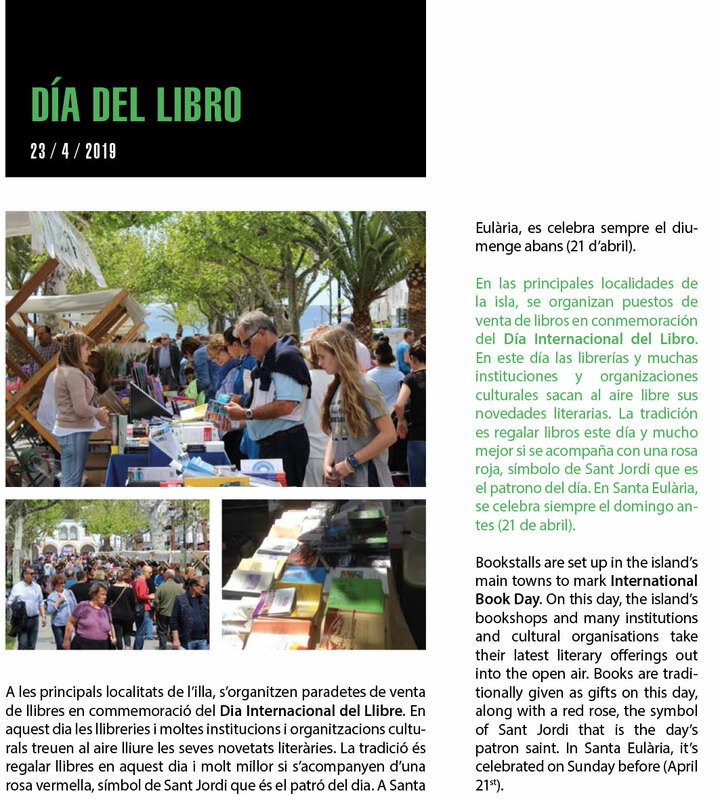 On this day, the island’s bookshops and many institutions and cultural organisations take their latest literary offerings out into the open air. Books are traditionally given as gifts on this day, along with a red rose, the symbol of Sant Jordi that is the day’s patron saint.